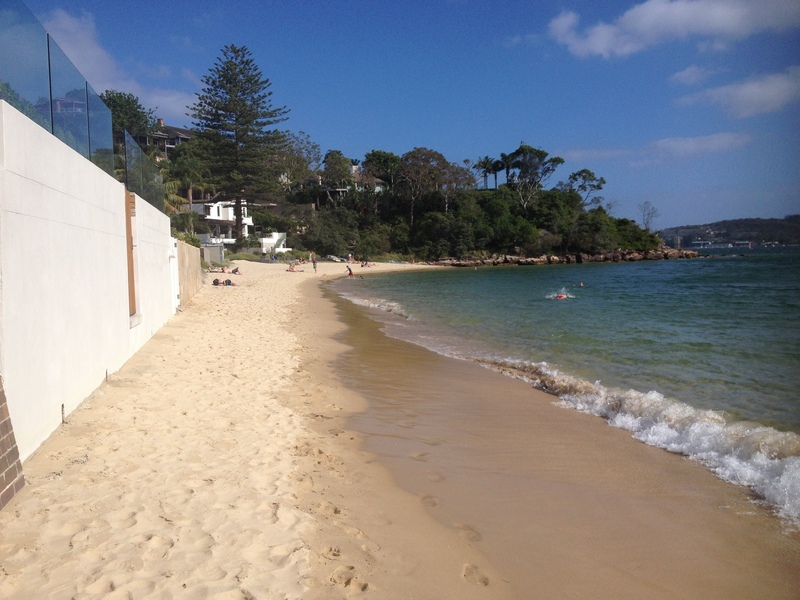 During the walking tour our guide had recommended a trip to Manly. Apparently, the common thing to do whilst in Sydney is to get out of Sydney. The thing to do is buy yourself a travel ticket at a 7 Eleven on your way to Circular Quay in order to beat the queues and make your way to the second deck at the stern. What you’ll be rewarded with is a quite phenomenal view of the city in all it’s glory. The journey to Manly takes about half an hour and you will be able to enjoy great views around the world’s largest natural harbour. I must say that I was quite impressed. Special views were made even more eventful when Adam received a phone call from back home to inform him that he’d just become an uncle. I had already planned to visit the Four Pines Brewing Company and I certainly don’t need an excuse for a beer, but as it was before 12 I thought we’d better head over there for a celebratory drink. 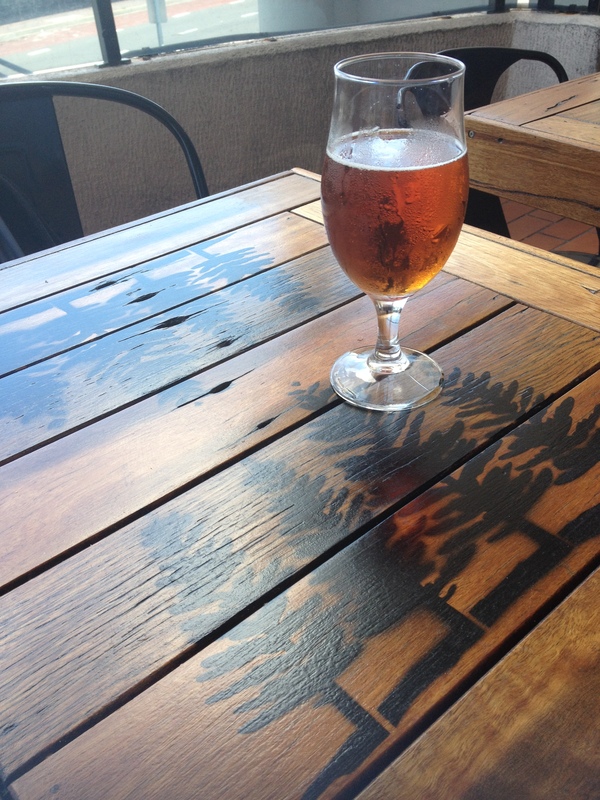 Four Pines have so far provided one of my favourite ales since I started testing what Australia had on the menu. The only downside was that despite being on the seafront, we were out of the sun and without a view. So, we had but one choice; head on to the beach. 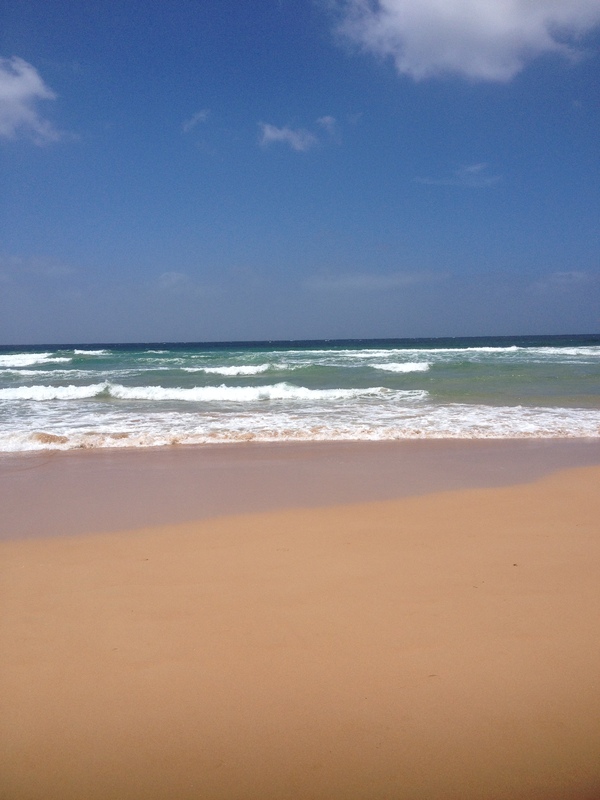 Manly beach opens out on the Pacific ocean, the sand is soft and white and the water is comfortably warm. We walked the length of the beach before cutting back in to the town in order to find something to eat. The best suggestion was to pick up some supplies for the supermarket and enjoy a beach-side picnic. 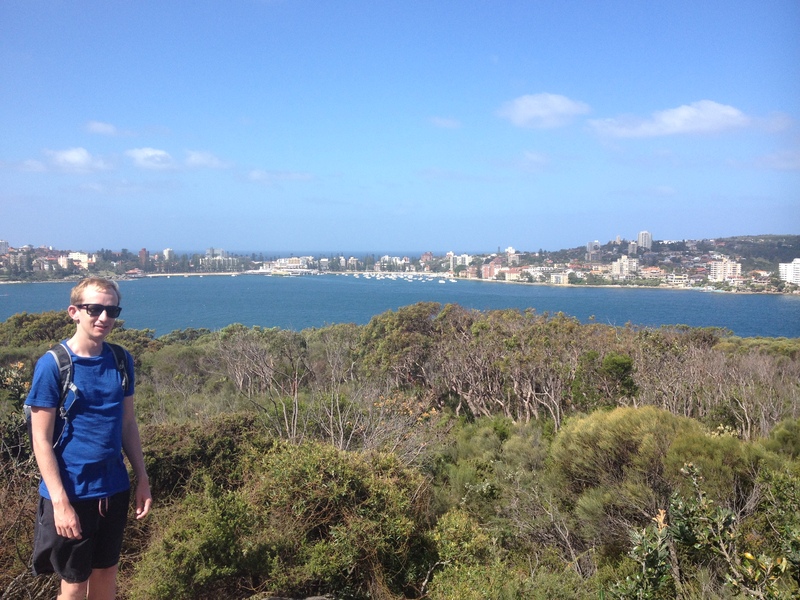 The plan for our afternoon was to cover a 10km walk around Manly to The Spit. We would walk along beaches, up and over cliffs and through bush-land being rewarded with some spectacular views along the way. One of those views that caught me by surprise was the Sydney skyline rising over an outcrop when I had believed the city to be somewhat further around the bay than it actually was. A particular highlight for me was coming to one of the beaches and seeing houses which could have claimed to have the sea quite literally on their doorstep. Another particular highlight for me was coming to one of the beaches and seeing houses which could have claimed to have the sea quite literally on their doorstep. The journey felt like a big walk and could have easily been longer than the advertised length. On finally reaching the Spit it was safe to say we were ready to go home and after the brief “Oh, it’s Sunday, do you think there will even be a bus?” panic we found that our paranoia was unnecessary and we jumped on board. 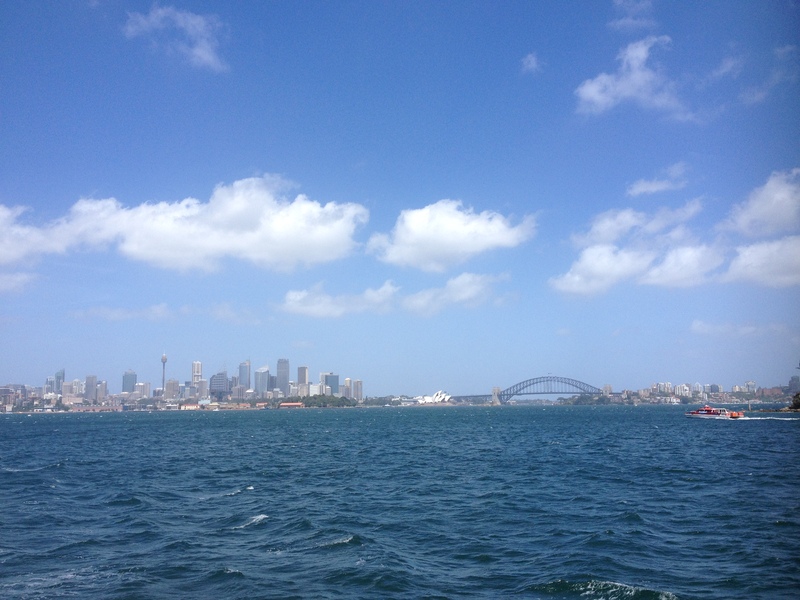 We were fortunate enough to approach the city from a direction that would mean we’d have to cross the Harbour Bridge. 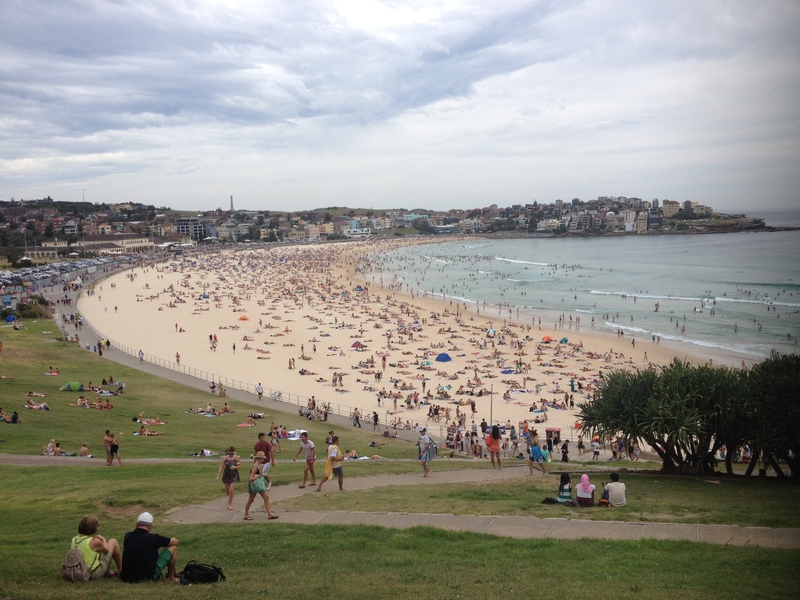 On my final day in Sydney I went out with the girls from my room to one of Australia’s icons; Bondi beach. After a busy bus ride, we arrived under grey skies and humid conditions that would turn out to be perfect for encouraging us to go for a swim. I must say that I was a little disappointed with Bondi. I was expecting the lifeguards to be decked out in red and yellow swimming caps but none were in sight. The few people I did see who may have been the lifeguards were wearing really nondescript navy blue polo shirts. The beach isn’t much to rave about either, sure it’s long and the sand is soft but the beach at Manly had all that too, and it had a bit more charm about it. Bondi felt more like checking something off the list than any real experience and I think that if I’m ever back in Sydney I’ll likely head to other beaches to find something with a little more class.